Posted on Thursday, August 11th, 2011 at 12:34pm. Sales and new listings are down for July, but they should be compared to June. On the west coast, summer has finally arrived and buyers and sellers alike are headed out to enjoy it! Contrary to some reports, the real estate sky in Vancouver it not falling. No one seems to consider an important factor which happens to also be the most difficult to predict, supply and demand. Home sellers continued to outpace buyers in July which has helped further shift the Greater Vancouver market toward balanced conditions. At 16.9%, the July sales-to-active listings ratio indicates a healthy balance between housing supply and demand. Generally analysts say that a market enters balanced conditions when the ratio reaches the 15-20% range. Seller's market conditions occur when the ratio surpasses 21-22% and a buyer's market takes shape when the ratio dips to 12-14% or lower for a sustained period of time. In the most sought after areas market conditions continue to favour sellers, as they have for many decades. Take North Vancouver, for example, where the sales-to-active listings ratio for detached properties is 69%, 46% for attached and 53% for condos. In West Vancouver it is 53%, 83% and 72% respectively and in Vancouver West it is 50%, 67% and 47%. 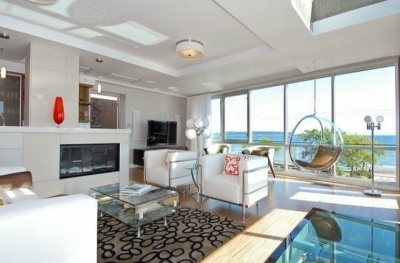 New listings for detached, attached and apartment properties in Greater Vancouver totalled 5,097 in July 2011. This represents a 23.2% increase compared to July 2010 and a 12% decline compared to June 2011. Residential property sales of detached, attached and apartment properties in Greater Vancouver reached 2,571 in July, a 14% increase compared July 2010 and a 21.2% decline compared to June 2011. It appears that when there is greater selection and buyers can actually find what they are looking for, they are ready to make the move. Compared to June 2010, the Housing Price Index (HPI) benchmark for single family, attached and condos, decreased slightly across the board from $901,680 to $898,886, $524,909 to $522,424, and $405,306 to $405,200 respectively. In Greater Vancouver, over the past 12 months, the benchmark price for all residential properties (detached, attached and condos) has increased by 9.2% from $577,074 to $630,251. This gives a great picture overall but there are still significant differences in home-price trends depending on the area. In North Vancouver and West Vancouver, homes sales continue to show strength, especially in the most desirable communities. We are seeing fewer multiple offer situations compared to recent months however, competitively priced homes continue to sell quickly. Stats are provided by the Real Estate Board of Greater Vancouver; feel free to view the complete REBGV Stats Package for July, 2011.